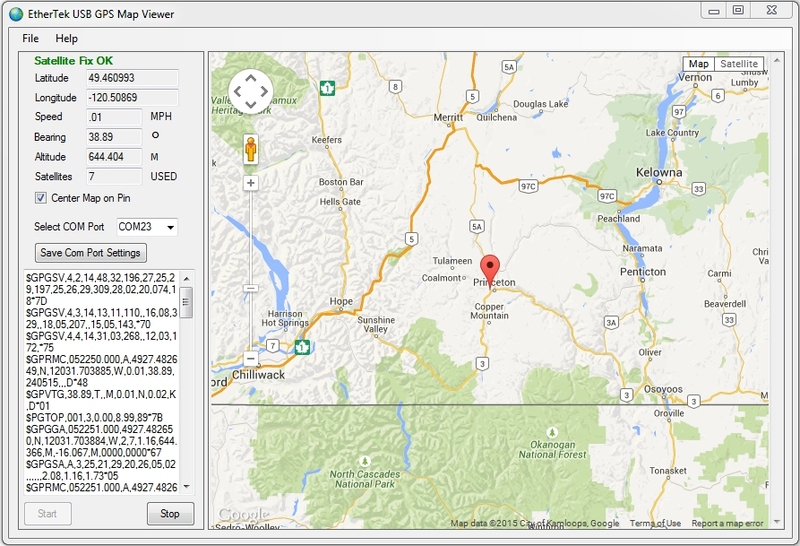 The EtherTek Circuits USB GPS Map Viewer software works with almost any USB GPS that outputs NMEA strings at 9600 baud. Plug in your GPS unit into a free USB port. Run the UsbGPS.exe program. No installer needed.